Our interpreters can help you to determine your interpretation requirements. The added value of the services we provide comes from the fact that we are active interpreters. We understand our clients’ expectations and concerns because we experience them too. Our personal knowledge of each interpreter in our team is also a guarantee of quality. Are you looking for conference interpreters AND/OR interpretation equipment (booths and receivers)? Are you working with a group of fewer than 20 people? This is the perfect option if you need interpreters to visit a work site or museum, or if you are holding a small meeting of experts. It is as easy as 1-2-3: the interpreter follows the group around with a micro-transmitter and translates whatever the speaker says. The interpreter uses a Sennheiser portable interpretation system (also known as a "bidule", "mobile kit" or "tour" guide). The wireless headsets allow participants to move around as much as they like while listening to the interpreter. Are you working alone and in need of an interpreter? A liaison interpreter will guarantee reliable translation services for your business meetings by bridging the language gap between you and your contact. For example, our interpreters regularly travel with members of regional or national parliaments during their visits to European institutions or bilateral meetings. 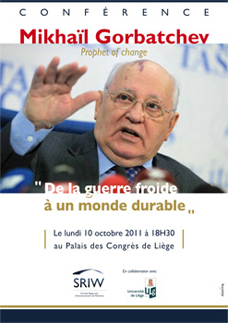 Mikhail Gorbachev was invited to the Liège Convention Centre to talk about the transition "From the Cold War to a sustainable world". The Russian statesman received an honorary degree from the University of Liège. Mission summary: English to French simultaneous interpretation from a booth. 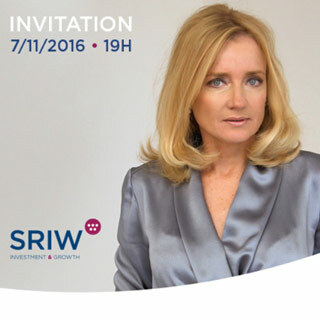 Julie Meyer is famous for co-founding First Tuesday, the largest global network of entrepreneurs, which many see as the driving force behind the rise of the Internet generation in Europe. The numerous accolades she has won include the World Economic Forum Global Leader of Tomorrow award and the Ernst & Young Entrepreneur of the Year award. The Wall Street Journal named her one of the 30 most influential women in Europe. Mission summary: English <> French simultaneous interpretation by two of our conference interpreters. Set-up of the portable interpretation equipment (portable booth), 300 receivers (headsets) and preparation of the audio equipment for the conference hall of the University of Namur, Belgium. 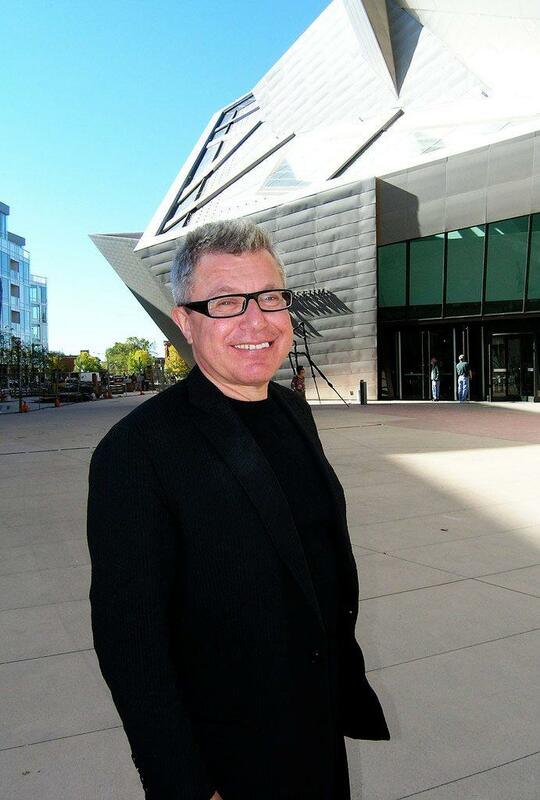 Daniel Libeskind is an American architect known around the world for iconic projects such as the Jewish Museum in Berlin, the master plan for the new World Trade Center in New York, and the Imperial War Museum North in Greater Manchester. In Belgium, Daniel Libeskind designed the Mons International Congress XPerience. He was awarded the contract after a successful defence of his project in English that we interpreted into French before the jury responsible for choosing an architect. Our interpreters also took care of simultaneous translation from a booth for the public presentation of the project, with Mr Libeskind also in attendance. 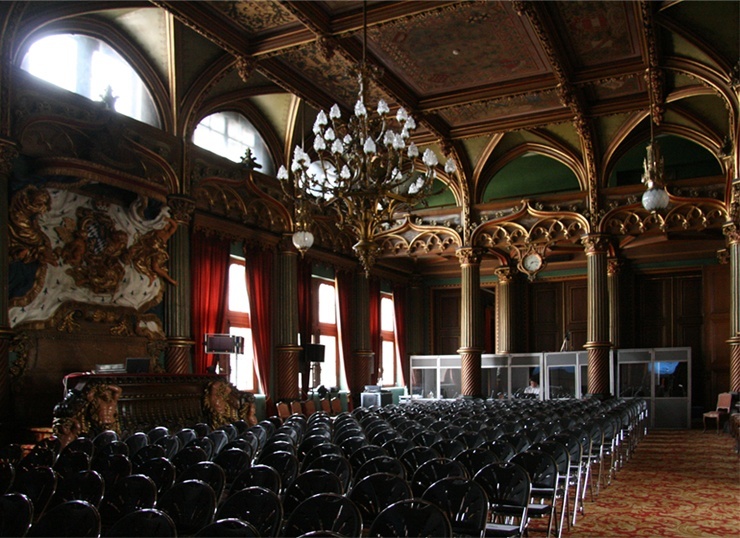 The Manège conference hall in Mons (Belgium) lacked interpretation equipment, so Colingua Translations set up a mobile booth for the interpreters and provided over 200 receiver headsets for the public. 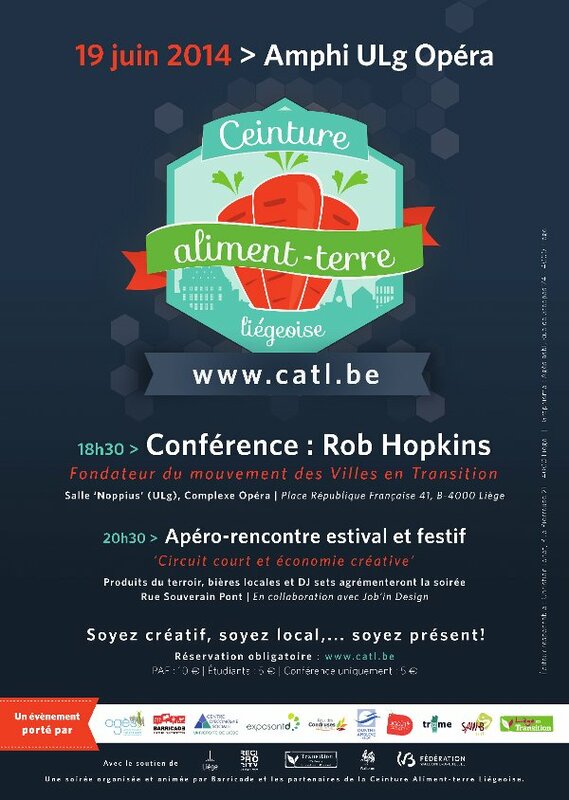 Rob Hopkins is THE world reference for permaculture. The British activist launched the Transition movement in 2005. Hopkins, who has also written several specialised books, has earned such accolades as The Observer's Ethical Award, The Guardian's Green Community Hero award and an honorary doctorate from the University of Namur in Belgium. Conference interpreters from Colingua Translation were on duty for Rob Hopkins's conference at the University of Liège. Our technical service also set up all the technical equipment required for interpretation, including an interpretation booth and over 300 receivers (headsets) for the numerous guests. The widely acclaimed film American History X is based on the story of Christian Picciolini, a former American skinhead who broke all ties with the movement and now fights against radicalisation. 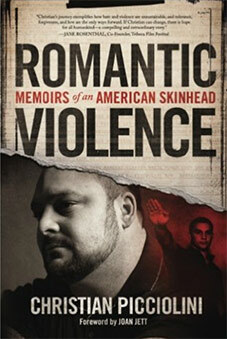 A former member of a racist and extremely violent gang, Picciolini is now known in America for his work in Life After Hate, an organisation he co-founded with other former skinheads. Picciolini is a regular contributer on American TV networks, such as CBS and CNN. Mission summary: providing interpretation services for the speaker throughout his visit to Liège. Interpretation from English into French during Picciolini's conference in Liège and interviews with the French-speaking Belgian media. German Chancellor Angela Merkel visited Brussels to give a speech alongside Belgian Prime Minister Charles Michel. 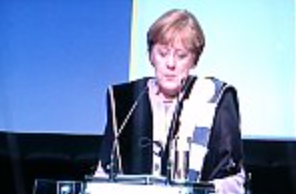 Mrs Merkel was invited by the universities of Ghent and Leuven and received an honorary doctorate for "her diplomatic and political efforts to develop the political strength of Europe and to defend the values that allow our continent to find unity in diversity". Our conference interpreters simultaneously interpreted the speeches and debates into French/English/German. This was a joint job with Microson, which provided conference interpretation equipment such as translation booths and receivers. After winning La Flèche Wallonne for the fifth time, Alejandro Valverde again shone in front of the Belgian crowds by taking Liège–Bastogne–Liège. 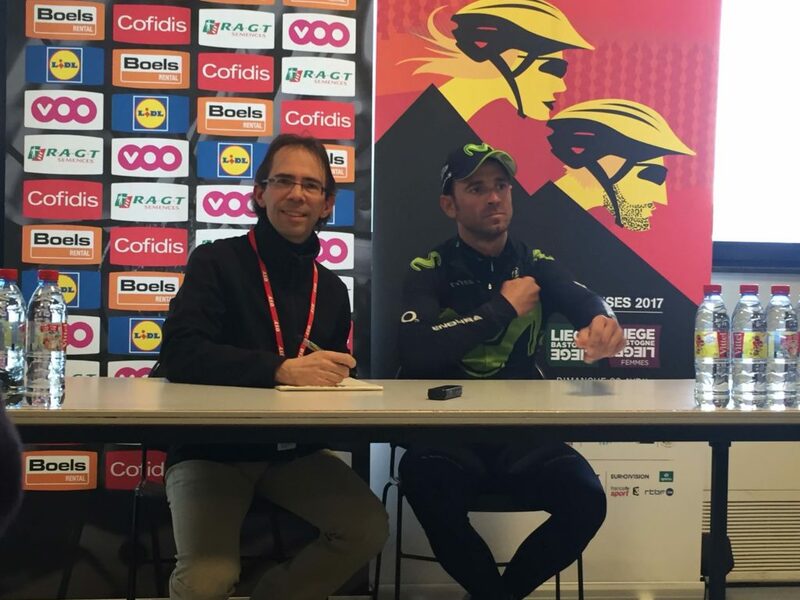 Our company took care of interpretation into French/English/Spanish at the Ardennes Classics press conference held by A.S.O. Our translators and interpreters specialise in sport translations, particularly with fifteen-odd UCI races, MTB events, rally-raids and running events such as the Marathon de Paris. The Belgian Judicial Training Institute is an independent federal body that contributes to a high-quality judiciary by optimally developing the professional skills of magistrates and members of the judiciary. Training is dispensed at the IFJ’s headquarters of the in Brussels, as well as at other locations in Belgium. The IFJ offers high-standard training in criminal law and civil law, with simultaneous interpreting from a booth in French and Dutch, as well as in English or in other languages for courses intended for trainees from other European countries.